Scott Schroeder and Pat O’Malley are going to make us eat pigeon, and they’re going to have us loving every last bite. Their co-owned establishment, Hungry Pigeon, will be providing the savory, comforting dishes our moms (well, my mom at least) would try to emulate, like chopped liver and roasted quail. And their signature dish is a pigeon pot pie. The two met at ¡Pasión! in the early aughts and have been friends since. Schroeder moved on to helm the kitchen at South Philly Taproom and American Sardine Bar, while O’Malley was a pastry chef at Balthazar Bakery in New York City for close to eight years and only recently moved back to Philly. Pat says they have wanted to open a restaurant together since their time at the now defunct ¡Pasión!, but only felt ready to realize their idea after they had time to improve and hone their skills. The restaurant started coming together in earnest early last year. The name came first. 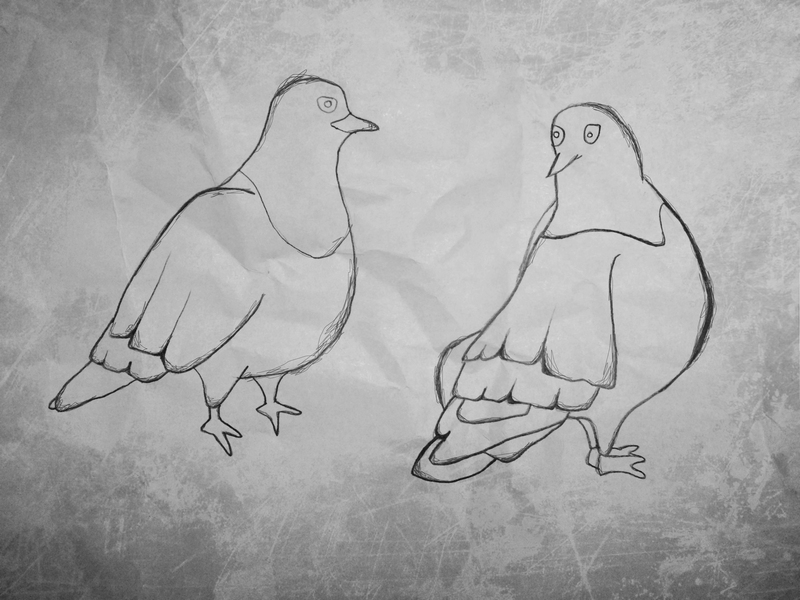 They wanted something lighthearted and funny, and landed on Hungry Pigeon. Scott would make the savory dishes, and Pat would handle all the pastries and bread. They would collaborate on certain dishes, and their new name inspired the first (they recently did a pop-up fundraiser at Isaiah Zagar’s warehouse, a dinner at Vetri Ristorante, an event at Cook, and went over their Gofundme campaign goal). Pat O’Malley prepping pigeon pot pie. courtesy of Hungry Pigeon. 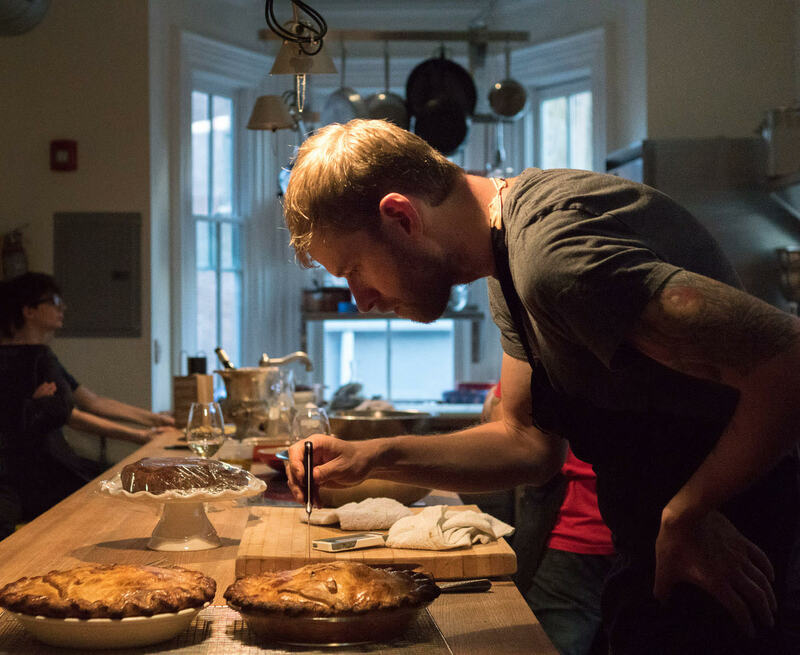 “[The pigeon pot pie] is a really perfect example of one, what type of food we’re going to be doing, and two, the collaboration of pastry and savory,” says O’Malley. We love pie in this country. Yet, we generally expect our pies to be sweet. Thanks to personal experience as well as a bit of research (found here as well as the book “Pie: A Global History” by Janet Clarkson), I can say what Schroeder and O’Malley are doing by highlighting a savory pie is bringing the dish back to its roots in medieval English culture, when all pies were stuffed with meat and big enough for a whole family to enjoy. These pies could be made with a common bird, like a crow or a chicken, or whatever grazing animal was currently on hand. Back then, they weren’t too concerned as long as it was edible. Eating pigeons, otherwise known as squab [technically, it refers to young, domestic pigeons], was not something common folk had much access to, as it was considered a delicacy. When I lived in London this was no longer the case. Pie and mash shops—remnants of the working-class, Cockney culture—represented the English adherence and love for savory pies. Because these pies were normally made for the poor, they used readily available and cheap ingredients. 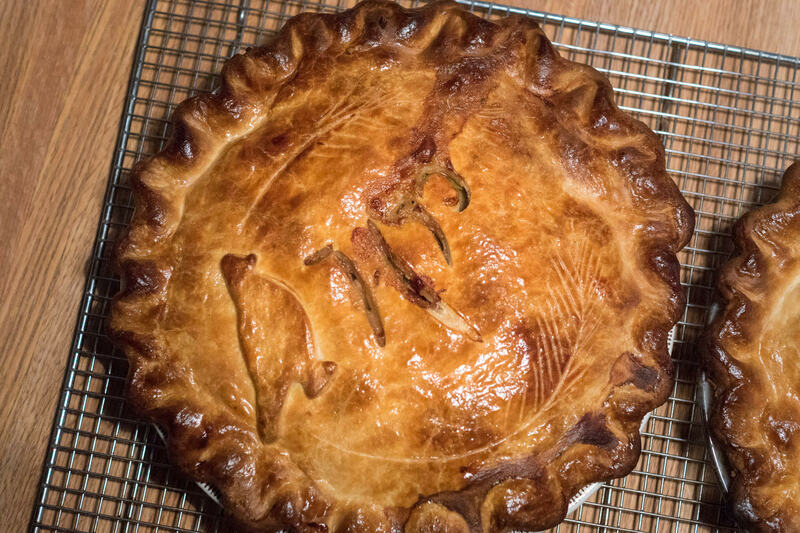 With eels happening to be one of the few creatures able to live in the Thames, it became a staple in the pies in either steamed or jellied form [see The Pie Stand or the soon to open Stargazy for others showcasing savory pies in Philly]. Around the time America was founded, pigeon pie was a common dish, popping up at most Thanksgiving meals. It eventually fell out of favor, like most savory pies, with the advent of affordable and readily available sugar. Apple pie and its fruity ilk supplanted all meat pies in American minds forever. Pigeon pot pie. courtesy of Hungry Pigeon. Hungry Pigeon might call it pigeon, but Pierre Calmels has always called it squab. Chef Pierre Calmels, who co-owns Bibou and Le Cheri with his wife Charlotte Calmels, has put squab on his menu at Bibou many times over the six years of his restaurant’s existence, and he plans on putting it back on in a few months. “Squab is a very tasty game bird and a good compromise, thanks to the smaller portion size,” says Pierre. While he loves using pigeon in his cooking, he has brushed up against a few misconceptions while serving it to his customers. For instance, some can expect something similar to chicken. However, he adds that 90% of his guests enjoy it. To modern urbanites raised on Sesame Street, it can be difficult to consider these bloated-looking winged rats as something reserved for the upper crust.